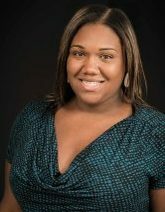 Amira Rose Davis is an Assistant Professor of History and Women’s Gender, and Sexuality Studies at Penn State University. She received her doctorate in History from Johns Hopkins University in 2016. Davis specializes in 20th Century American History with an emphasis on race, gender, sports and politics. Her research traces the long history of Black women’s athletic labor and symbolic representation in the United States. She is currently working on her forthcoming book manuscript, “Can’t Eat a Medal”: The Lives and Labors of Black Women Athletes in the Age of Jim Crow. She has recently appeared on NPR’s Code Switch and in Yes! Magazine talking protest, politics and sports. Davis is also the co-host of the Feminist sports podcast, Burn it All Down. Follow her on Twitter @mirarose88.